A 50+ page digital art book that give you a detailed look at the art and making of Surviving Mars. Deluxe avatar and icon for the Paradox forums. 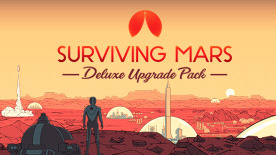 Please note: This content requires the base game Surviving Mars in order to redeem this key successfully.